Paris, the city of love, the city of lights and a city that is filled with beautiful sights everywhere – hard not to love it. Visiting this city may be a bit overwhelming because there really is so much to see and explore. What do you see in Paris? 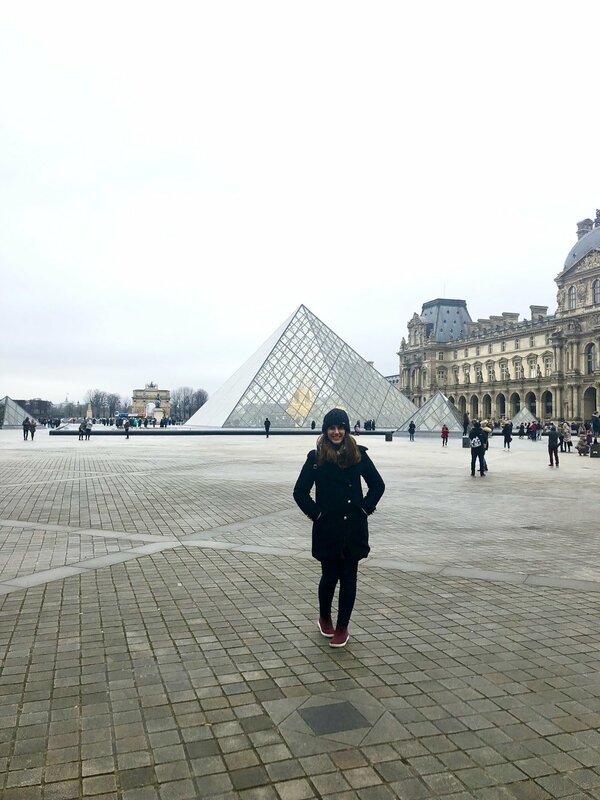 What do you do in Paris during your trip? Well, you have a lot of options. A LOT! My recommendation is to spend at least 3 to 5 full days in Paris to truly get a good feel of this magical city. Good to know: The city of Paris is divided into 20 arrondissements (districts). I’ll refer to them in this post as “arrs”. My number one tip when you first arrive in Paris, book yourself in a free talking tour. 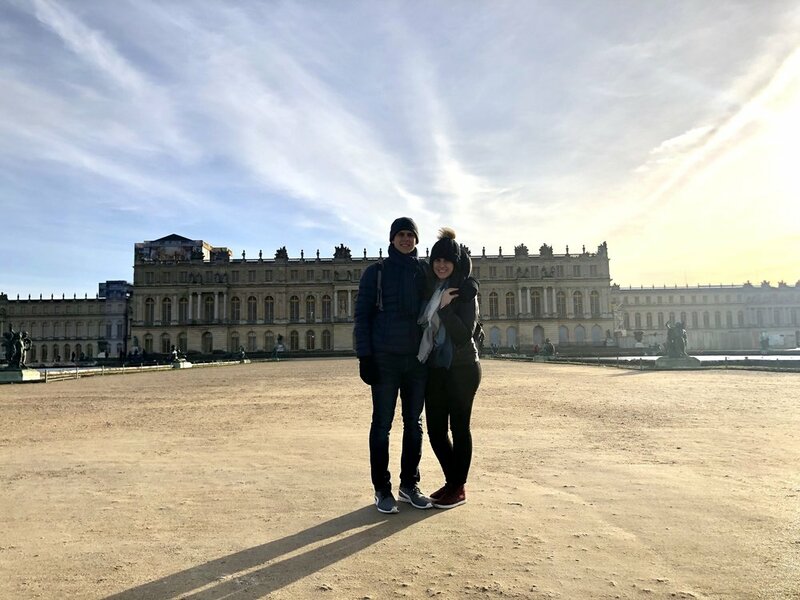 We chose Sandermans New Europe Tours and had the best time! Other options are: Discover Walks, and City Free Tour. For rates, visit the website. 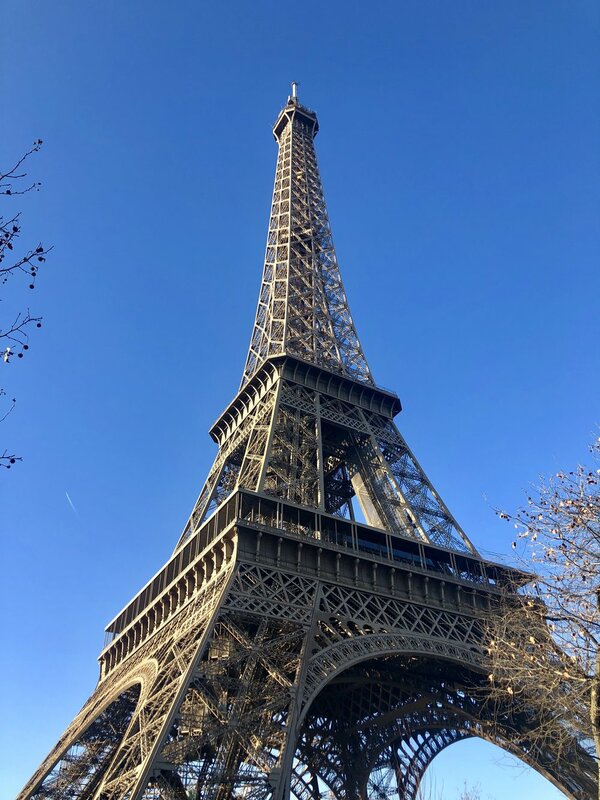 The Eiffel Tower, one of the must sees landmarks in Paris, can't be missed from any spot while walking around in the city. It was built by the French engineer Gustave Eiffel which was already famous at the time for building bridges. He spent several years building the Eiffel Tower as a monument for the World Exhibition in 1889. Going up to the top though is possible only using the elevator, You can reserve your ticket or book a guided tour online which will skip the lines as well. If there is one garden you really must visit when you go to the Eiffel Tower, it’s the Trocadéro gardens. The gardens offer a stunning view of the Eiffel Tower. The Champ de Mars ("Field of Mars") is a large public green park, one of the nicest parks in Paris for families, located just between the Eiffel Tower and the École Militaire. If we had visited in the summer or spring time, I would have loved to have a nice picnic with the Eiffel Tower’s view! The Rodin Museum is one of the best and unarguably one of the most pleasant cultural experienced that Paris has to offer and a great Paris museum. The Rodin Museum Paris today holds the most important works of Rodin's such as The Kiss , The Thinker, and The Gates of Hell, some are displayed inside the building while the well-known sculptures are displayed in the garden. Opening Hours: April-Sept: 10am-6pm, Oct-March: 10 am – 5pm. Closed the first Monday of every month, Oct-June. The Hotel des Invalides in Paris also contains a hospital and a retirement home for war veterans, which was actually the building's original purpose. The buildings house the Musee de l'armee, the military museum of the Army of France which is the world's greatest military museum as well as the Musee des Plans-Reliefs, and the Musee d’Historie Contemporaine. This building of Hotel des Invalides Paris also played a significant part in the French Revolution while in (1789), the crowed had burst into the building and collected 32,000 guns from it while heading to the prison at Bastille as what is today known as the start of the French Revolution. Alexander Bridge is located right between all of the best attractions in Paris and is considered as the most decorated bridge in Paris, this bridge is well worth a visit. The Alexander Bridge Paris, with its Art Nouveau lamps, winged horses statuses and nymphs connects the two banks of the Seine from the Champs-Élysées quarter to the Eiffel Tower quarter. The Place de la Concorde is located at the very beginning of the Champs-Élysées avenue. It was once named after Louis the 15th and is now one of the major touristic squares in Paris. As it happens, Place de la Concorde Paris is also the largest square in the French capital. The Champs Elysees Avenue is unarguably one of the famous streets in the world. Walking in the Champs Elysees Avenue, Paris looks shiny, luxurious, This is once spot you want to be if you're looking for some great shopping. You can start your day taking the metro to the Arc de Triomphe (Charles de Gaulle Etoile stop). We didn’t go up to see the views from the top because of the overcast weather, but the ticket to go up is 12 Euro which isn’t bad at all. The Arc de Triomphe is located in Paris in the world’s largest traffic roundabout and is the biggest and tallest triumphal arch in the world. The Latin Quarter of Paris (located in the 5th and 6th arrs) is mostly busy with students for the last several hundred years since the foundation of the Sorbonne University in 1257. When calling it The Latin Quarter, Paris goes back to older times when the students here use to speak Latin. Today, the area is full of life and has some of the best cafes, shops and book stores in the city. Prices in this area are usually less expensive than in other parts of Paris. On Rue Mouffetard prices are not low over here, you will find some of the best food makes of the city. The Pont Neuf Bridge, the New Bridge, with its sparkling-white stone, is actually Paris oldest standing bridge built in 1578 to connect the right bank with the left from the 1st to 6th arrondissements. The stone structure was considered radical from an architectural point of view when it was built. As it happens, Pont Neuf Bridge is also featuring one of Europe’s earliest pedestrian sidewalks. It is a popular road for strolls even today when no tourist should be allowed to miss the view of Notre-Dame de Paris or the Eiffel Tower while standing in the middle of the bridge. The Louvre Museum is in fact the largest art museum in the world and the home for one of the finest art collections anywhere to be seen including two of the most famous painted women - the Mona Lisa and Venus de Milo just to name two out of the 30,000 exhibits displayed in the Louvre Museum. I recommend purchasing tickets in advance so you may skip the long lines. Remember that this gigantic museum stretches for almost half a mile (750 meters). My best advice for the first time visitor would be – decide upfront what are the works that you must see, go for those and then settle in one of the sections for a pleasant stroll through the works of art and historical artifacts. Even if you only know the Mona Lisa, there are many other Da Vinci masterpieces with no people crowding it. 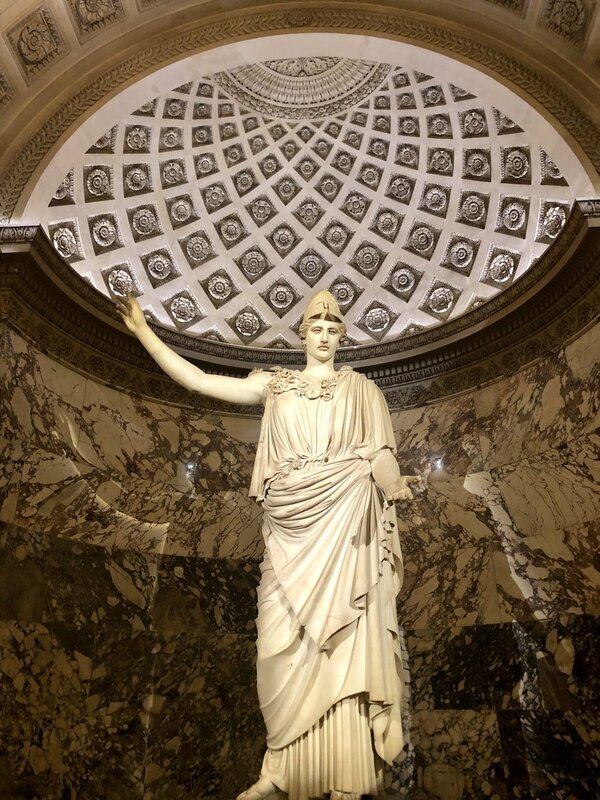 Highlights for your list: Mona Lisa by Leonardo da Vinci, Venus de Milo, Victoire de Samothrace, The Coronation of Napoleon by Jacques-Louis David, La Liberte Guidant le Peuple by Eugene Delacroix, The Raft of Medusa by Theodore Gericault, The Dying Slave and the Rebellious Slave by Michelangelo. The Tuileries Gardens can be found just between the Louvre and the Place de la Concorde. It was designed in 1564 by Catherine de Medicis as a garden for the Tuileries Palace (for Louis XIV). 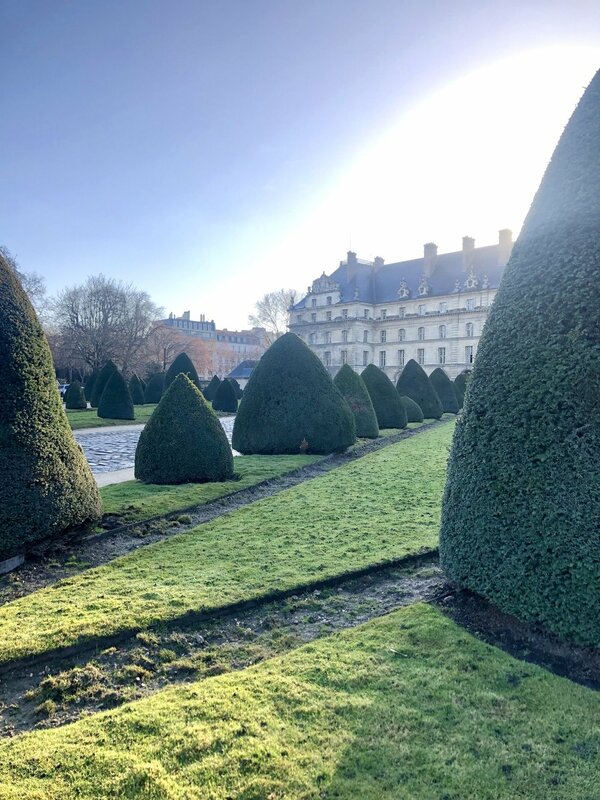 The Tuileries Gardens are probably the most French garden you could find all across Paris, with fine rows of trees and well-formed paths. 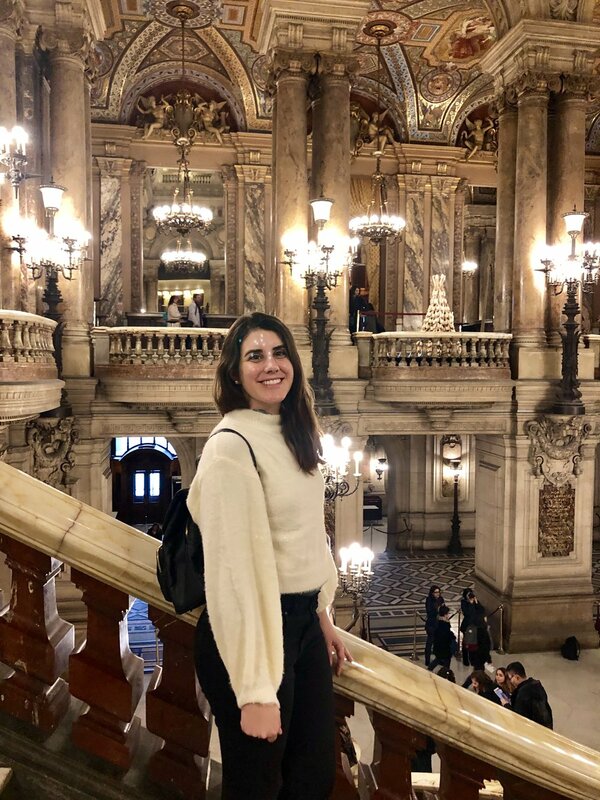 What a stunning opera house - I loved visiting it! The neo-baroque landmark building is located on Boulevard des Capucines and is named after the architect in honor of the stunning and opulent architecture. 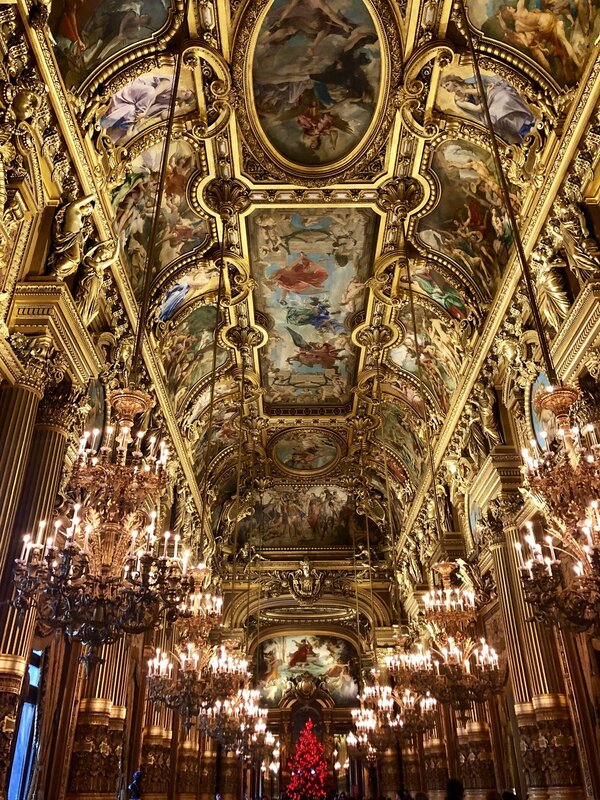 The building was the first home of the Paris Opera Company and is now also home to the Paris Opera Ballet. Beautiful gardens to enjoy a nice walk and sit by the fountain in front of the Palace. Parisians of all ages comes to relax and stroll through the formal gravel paths of Jardin du Luxemburg in the nice sunny days. In its center, stands the glorious Palais du Luxembourg built by Marie de Médici of Henri the 9th in 1612. A beautiful building to admire. It now holds the remains of some of France's most famous people such as Victor Hugo, Emil Zola and Marie Curie. Its design was inspired by a Greek cross with a dome somewhat similar to St. Paul's in London. This truly amazing architectural treasure owns the oldest stained-glass windows in France. If i had to pick one of my favorite sights in Paris, the Saint Chapelle definitely makes it to the top of the list. It is truly incredible. Ideally, try to visit while it’s sunny outside so you may see the rays of sun through the beautiful stained glass windows. Sainte Chapelle, was built by King Louis IX to host the remains of the True Cross, including the original Crown of Thorns which was purchased from the emperor of Constantinople. The Orsay Museum is the second visited museum in Paris and should be payed a visit even if you have to miss all other museums in Paris after the Louvre. Opened in 1986, facing the Seine, the Museum is a beautiful renovated former train station which holds the world-famous collection of Impressionist and Postimpressionist France’s national collection of art. The Montmartre District of Paris has long been known as the district of the arts and one of my personal favorites. I loved visiting it during the day and at night, so beautiful!! With interesting alleyways, intimate cafés and quaint shops, Montmartre is a series of secret cubbyholes with charming homes, apartments, balconies connected by climbing something. Throughout Montmartre, there are sidewalk cafés and museums for art lovers. The Salvador Dali museum and Jewish Museum are both in this district. The Sacre Coeur is a church and a basilica, located in the top of the Montmartre which is also the highest point in the entire city. Inside the basilica enjoy the lovely decorations and mosaics on the walls, the metal doors, the windows, as well on the ceiling. The mosaic above the choir is considered one of the largest golden mosaics in Europe. This was my first sight in Paris, and what a sight it was! The Notre Dame Cathedral of Paris is the most visited site in the city with 10 million tourists each year. It is located in the true heart of Paris and by some even of entire France. 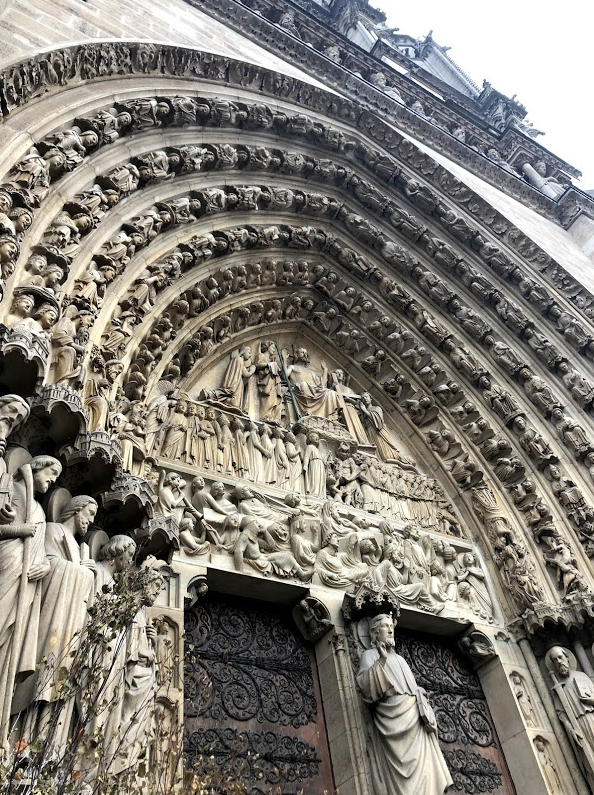 With so many people visiting the Notre Dame Cathedral of Paris unforgettable setting on the Seine, it has always been one of Paris top attractions. The Cathedral is not only a Gothic architecture masterpiece but a site which was also the focus of Catholic Paris for 700 years. Some if its exceptional structures include the spectacular rose windows. Pay special notice to the 30-foot-wide structure one rising above the huge pipe organ. Also notice the beautiful window to the north, which has remained untouched for the last 700 years! Paris’ most famous independent bookstore, dating back to 1919, Shakespeare and Company Bookstore is renowned as the one-time haunt of literary icons like Ezra Pound, Ernest Hemingway, James Joyce and Ford Madox Ford. This iconic bookstore is a literary paradise for book lovers, with two floors crammed with classic volumes, second hand novels and modern titles, and the small library space hosting weekly readings and workshops. Even if you don’t buy a book, it truly is a treat to get inside this beautiful little bookstore. 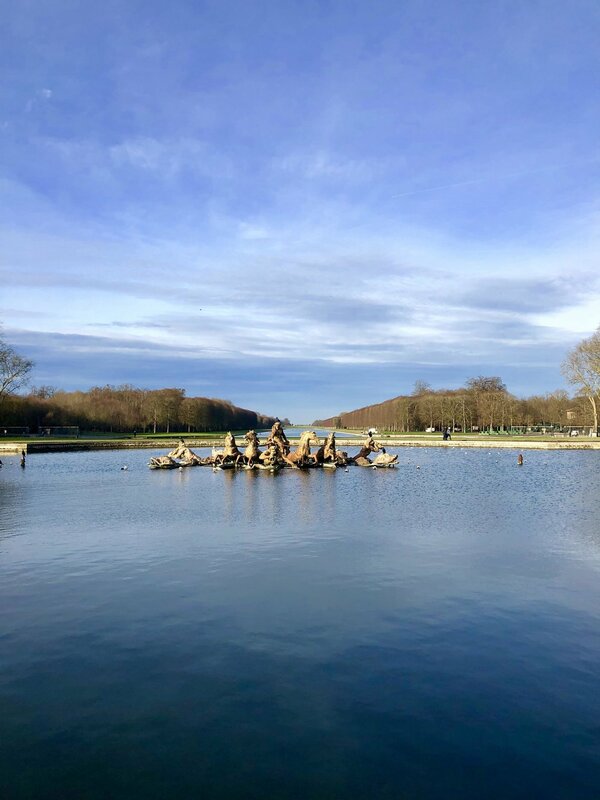 If you have more time…an amazing trip to Versailles is so worth it! Make sure to book your ticket online and arrive early to avoid the busy crowds! The Palace of Versailles is not a single building. Instead, the estate includes the main Palace, the Grand Trianon, Marie-Antoinett's Estate and the Versailles Garden. The Chateau contains 700 individual rooms each more spectacular and lavish than the next. It stands as a stunning example of 18th-century French art. Constructed in 1623, it was transformed and expanded by Louis XIV before becoming the center of political power during the French Revolution. Highlights to keep in mind while visitng: The King’s Private Apaments, King Louis Library, Hall of Mirrors, and the Queen’s Hamlet. It really is no secret that Paris is the most popular tourist destination in France. This unique city manages to maintain a rare and beautiful combination of modern cosmopolitan life and a serene village life. I really think that its 100% worth visiting and spending a good handful of days. There are many more things to see and visit in Paris that are also beautiful and worth visiting. I hope this guide was helpful to plan your trip!